The DDP 92 MICR printer takes cut-sheet production MICR printing to a new level. With a duty cycle of 1,000,000 impressions monthly, and 92 impressions-per-minute speed, it is designed for high-volume check and IRD printing. This powerful printer offers superior output quality, high speed, reliability and finishing capabilities, at an exceptionally low cost-per-page. Built to last, the components of the DDP 92 MICR are all industrial strength to ensure the highest quality, print after print. administrative controls and highly-configurable alerts offer complete oversight to your production printing environment right from your desktop. The DDP 92 MICR can also optionally use Rosetta's state-of-the-art Promark MICR toner, which virtually eliminates item rejections in certain check and IRD processing environments. Leasing Available from $64.91 per month! Leasing Available from $108.21 per month! Leasing Available from $116.49 per month! Leasing Available from $30.94 per month! Leasing Available from $31.97 per month! VIRTUAL PRINTER. This feature allows for the creation and support of up to 64 different types of print streams simultaneously. 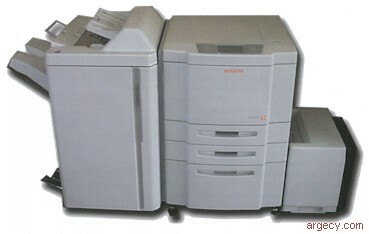 Although seen as separate printers on the network, each job printed to the printer, no matter what type of print stream. E-13B FONT.�This font was created specifically for the DDP 92 MICR printer. The printer specific font ensures the highest achievable readability of MICR characters. ORIGINAL-MANUFACTURED MICR TONER CARTRIDGE. Toner formulation and cartridge design specific to the DDP 92 MICR printer engine, ensures high print quality, excellent toner yield, and long fuser life. MICR QUALITY GUARANTEE. Rosetta Technologies ensures the readability performance of the DDP 92 MICR printer when used in conjunction with approved MICR toner and check stock. The DDP 92 MICR printer uses a dual-component MICR toner system, which allows for consistent MICR output quality at higher print speeds, and lets you replace only the supplies that are depleted or worn. Traditional cartridge-based systems have difficulty maintaining MICR quality at higher print speeds. They also force replacement of the developer and photoconductor whenever the toner is empty. By replenishing toner separately, the overall cost-per-page is drastically reduced. Additionally, since the DDP 92 MICR prints everything in one pass on blank safety stock, pressure seal, or other check paper, your printing costs are even lower. The resulting savings are significant and lead to a quick and sure return on your investment.